My Weekly Pull is something I do every Wednesday to show which comics I had pulled for me that week! If you're into comics, or you're looking to start, please join me! If you decide to do your own post, there's a link-up at the bottom. I would love to stop by and check it out! Nothing for me this week! Honestly, I'm happy I don't have any comics this week! I'm nearly caught up from previous pulls, and this just gives me more time to get on top of everything. Yay! Synopsis (via Goodreads): Can a romcom-obssessed romantic finally experience the meet-cute she always dreamed of or will reality never compare to fiction, in this charming debut adult novel from Kerry Winfrey. 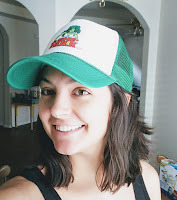 Annie is twenty-seven years old, single, and obsessed with romantic comedies (she and her mother watched them religiously, before her mom died). Her dating life is limited by the expectations she’s formed from these movies. She is not as open to new experiences as she might be, because she’s waiting for her Tom Hanks–i.e., a guy she’ll find in the perfect, meet-cute romantic comedy way. When Annie does finally meet her perfect match, it’s not quite in the way she expected, and she’s forced to reckon with the walls she’s built around herself over the years. *Share your My Weekly Pull post! Please leave the direct link to your My Weekly Pull post and not just your blog's URL. Thank you for participating and happy reading! If you want to link up, please leave your URL in the comments below. The site I've been using recently did an update, and they no longer offer the old format. I'm in the process of looking for an alternative method, and would love to hear your suggestions! 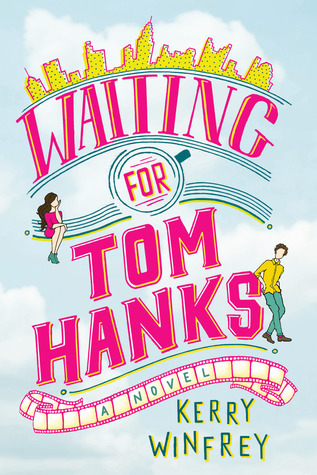 Waiting For Tom Hanks is definitely now on my TBR- he played in some really good rom-coms! Both Winfrey's YA books were winners for me, and I love rom-coms. I can't see how this won't be a hit for me. Waiting for Tom Hanks sounds so cute! I love Tom Hanks. Yes to Waiting for Tom Hanks! Sounds so good! One of my library apps has a new updated one for comics so I might tap your brain for rec's once I have time to check it out. Firefly! West Coast Avengers! Miles Morales: Spider-Man! Those are the first three that popped into my head. Oh! Amazing Spider-Man Renew Your Vows is one of my all-time favorites. It's a little older, and it ended a few months ago, but you might be able to find back issues on your app. If you can, All-New Hawkeye, All-New Wolverine, and X-Men Red are great! I tend to use Instagram for the books I'm currently reading, so I can see how that leaves you out of the loop for upcoming releases! Normally, those are shared by publishers and we get the privilege of ogling them until they're released, haha. Glad you're back! Waiting for Tom Hanks sounds like exactly what I need!